James Estep was indeed the company commander of C 2/5 Cav, and he wrote a book about C 2/5 Cav. Jim took command on Christmas Day, 1967, and was with the company until he was seriously wounded on March 9th, 1968. He wrote the book from memory. Those who served under Jim will probably recognize many of the characters. From the preface: "Many of the names herein have been changed to protect the privacy of those concerned." The book was originally published in 1991, and was reprinted in 2002 with a different cover. Hard cover and paperbacked copies, though only the paperback is still available new. Those of you who purchase an early edition paperback will notice the soldier on the cover wearing the patch of the 101st Airborne. Hey - what do publishers know, eh? CPT Frank Lunati was with the 2/5 Cav when it went to Viet Nam in 1965 as the Battalion Surgeon - our very own doc. He was close to the troopers, and was with them at Ia Drang, Bong Son, and the building of Camp Radcliff. Charlie Company, and some of its members, are specifically mentioned a number of times throughout the book. Dr. Lunati has contributed to this web site, with contributions on the August 1965 and January 1966 pages. The book was published in 2004, and is available from Xlibris.com, Amazon, or other online book sellers. Bob Hutton was a grunt with C 2/5 Cav from April 1968 to April 1969 - from Bong Son to Quang Tri to Tay Ninh. In his unpublished book, Bob recounts his experiences from the time he was drafted, through his first fire fight, then to becoming a company RTO, and finally, his departure. His remarkable memory recalls experiences many of us went through ourselves. Like Jim Estep's book, you may find fault with picky bits of historical inaccuracy, but certainly not his recall of what it was like to serve in combat. The title "Gypsies" comes from the fact the company moved around so much. The entire book can be downloaded free from this site. J. D. Coleman served two tours with the 1st Cav in Vietnam, and was one of the "originals" in the 11th Air Assault Division (Test) at Ft. Benning. 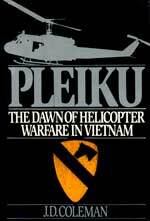 He wrote the original and official After Action Report for the Pleiku campaign. C Company is specifically mentioned in the book as one of the participants in the famous Ia Drang Valley fight of November, 1965. The book was published in 1988 and is now out of print, but both hard cover and paperbacked copies are available from www.bibliofind.com. 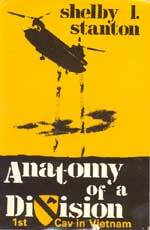 In J. D. Coleman's second book about the 1st Cavalry Division, he looks at the division's mission after it moved south into III Corps in November 1968. The new job was to cut the enemy's supply lines into the area around Saigon. Veterans will recognize names and places such as LZ Ike, Quan Loi, LZ Jess, the Mustang Trail, and LZ Jamie. 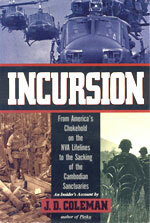 The book culminates in the Cambodian campaign of May and June, 1970. 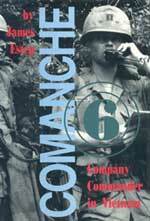 C 2/5 Cav members may take issue with one part of the book - Coleman believes it was the 2/7th Cav that CA's into Cambodia first. Our own Bob Brace, and others, disagree - saying we were first. The book was published in 1991 and is now out of print, but both hard cover and paperbacked copies are available from www.bibliofind.com. 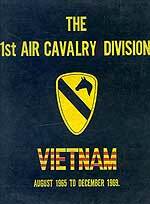 If you served with the 1st Cav from 1965 through the end of 1969, you must get this book. It is the size and format of a school yearbook, and is full of pictures, histories, and stories. 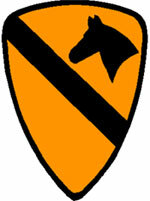 It was published by the 1st Cavalry Division Association. What makes it unique is that it was published while the war was being fought. Obviously, it is out of print - and copies in good condition are now becoming rare - and expensive. There was no paperback version. The Webmaster found his copy at www.bibliofind.com- but be prepared to spend upwards of $150. Shelby Stanton is one of the better known military historians of the Vietnam war. In this book, he details the history of the division from its beginning as the 11th Air Assault Division (Test) in 1963, until the departure of the last 1st Cav elements in August, 1972. C Company is specifically mentioned on page 59. The book was published in 1987 and is now out of print. 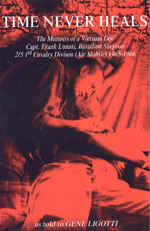 Hard cover copies can be found at www.bibliofind.com.